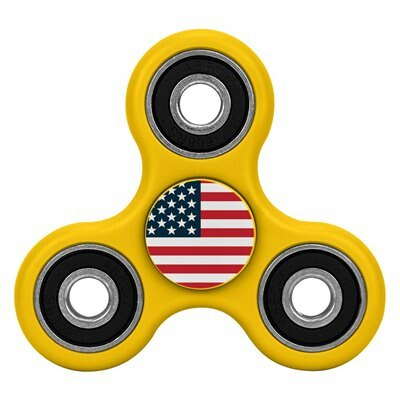 We hope to brighten your day with this yellow Cyclone fidget spinner! With your qualifying purchase, this fun little American gadget will keep you occupied during brain storming sessions or slow lines at the DMV! Be a little patriotic with our nation’s flag beautifully printed on the large imprint area. A nice size for easy transport, hardy yellow plastic body and good hand feel (roughly three by three inches and with metal weighted ends) you can take this gift with you everywhere!